We’re probably all a bit guilty of not getting enough of our essential vitamins now and again — but these tablets are a quick and easy solution to keep your body topped up with what it needs. 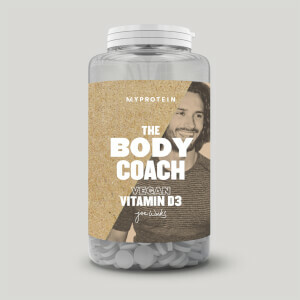 Each tablet is packed with a blend of seven essential vitamins, including vitamin A, C, D3, E, thiamin, riboflavin, and niacin, making them a perfect support for your immune system and metabolism.2,3 Just what you need to help your body through intense workouts and training schedules. 1. Vitamin A contributes to the maintenance of normal vision. 3. Vitamin C, riboflavin, niacin, and thiamine contribute to normal energy-yielding metabolism. 4. Vitamin C contributes to the reduction of tiredness and fatigue. 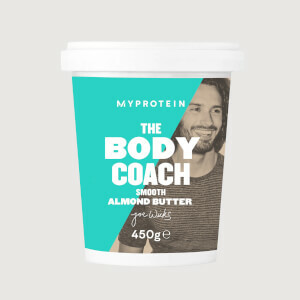 When to take The Body Coach Daily Multivitamin? They’re super-easy to fit into your routine, no matter how hectic — just take one tablet a day with food. 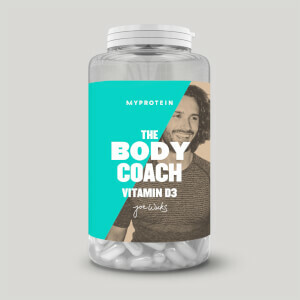 What works well with The Body Coach Daily Multivitamin? 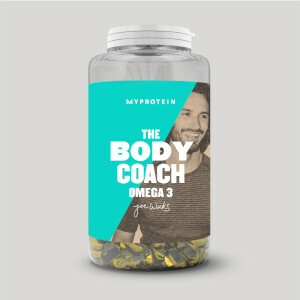 These help you stay on top of essential vitamins, to keep up with other important nutrients try with The Body Coach Omega-3. Vitamins (Vitamin C (as Ascorbic Acid), Niacin (as Nicotinamide), Vitamin E (as DL Alpha Tocopheryl Acetate), Thiamin (as Thiamine Monoitrate), Riboflavin, Vitamin A (as Retinyl Acetate), Vitamin D (as Cholecalciferol), Bulking agents (Calcium Carbonate, Microcrystalline cellulose), Starch, Maltodextrin, Glazing Agents (Hydroxypropylmethylcellulose, Acacia), Anti-caking Agents (Silicon Dioxide, Magnesium Stearate, Stearic Acid, Talc), Sucrose, Antioxidants (DL Alpha Tocopherol, Tartaric Acid), Triglycerides.